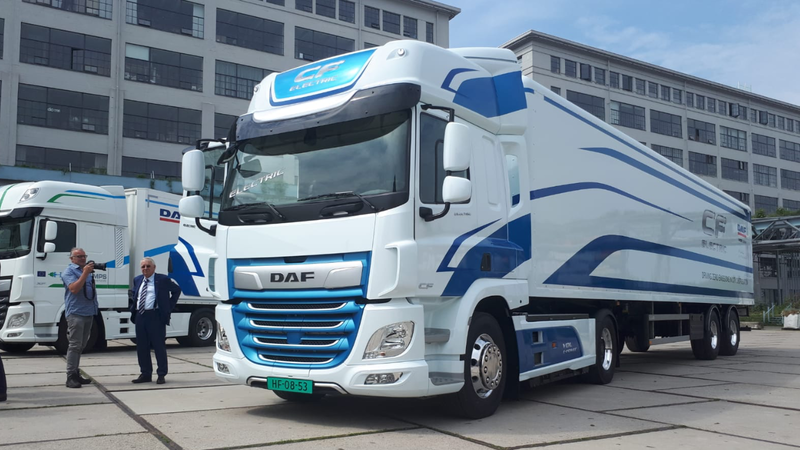 Dutch company VDL has presented a full electric DAF CF truck today. DAF and VDL also anounched a partnership for developing and building electrical vehicles. The truck is based on a DAF CF 4×2 tractor unit. 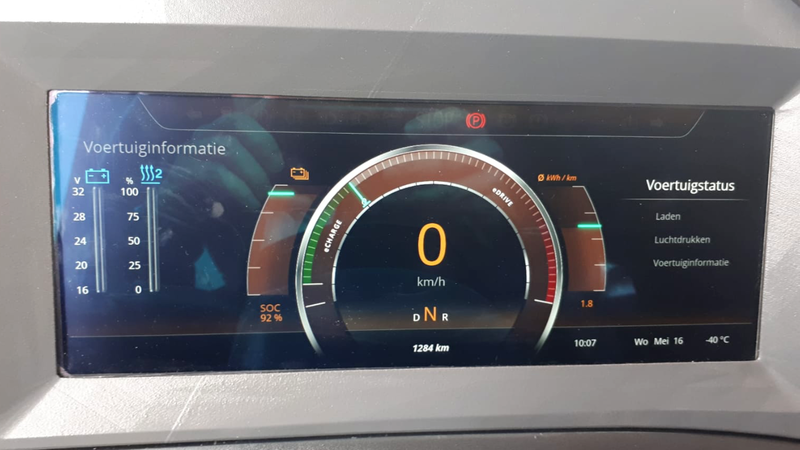 The 18 ton truck has 210 kW and is equiped with 170 kWh Li-Ion batterys. The range is 100 kilometres and with a quickcharging system the charging time is 30 minutes. 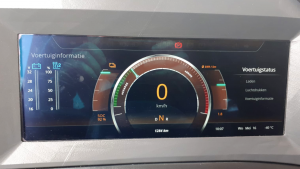 The dashboard of the DAF CF Electric is completely digital and gives all the information the driver needs about the espected range. VDL has a lot of experience with electric busses. A lot of the technology in the electric DAF truck are shared with the VDL Bravo bus of wich more than 100 are produced. On the photo you see the electric DAF truck. On the truck there is no sign of the VDL name. The name DAF is in the grille and on the doors there is the tekst ‘electric.’ Therefor it looks like this is going to be an official DAF product that is to be sold through the DAF dealer network.